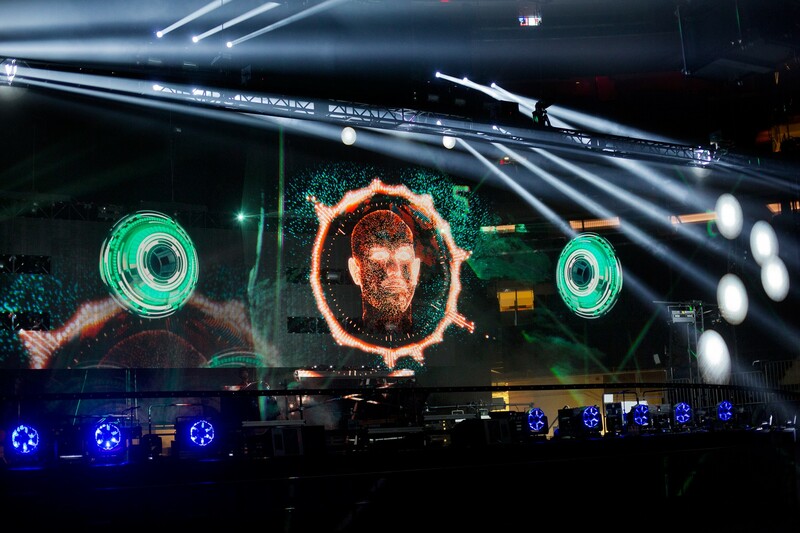 At 9 p.m. on the day of the show, the crowd went wild as Prydz appeared on the stage, dressed in his trademark black t-shirt with a Yankees baseball cap worn backwards. He stationed himself at the DJ console. 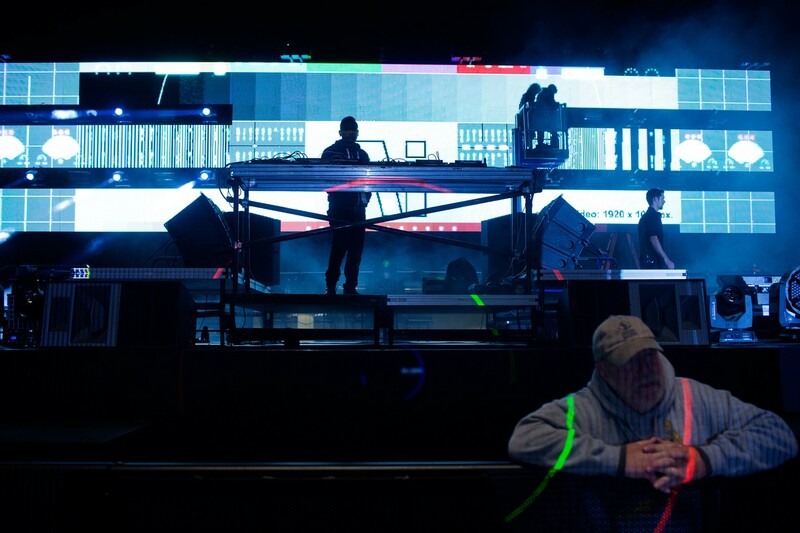 A mesh screen stretched out like a thin veil in front of him, and behind him an LED screen covered the breadth of the stage. The lights went out. 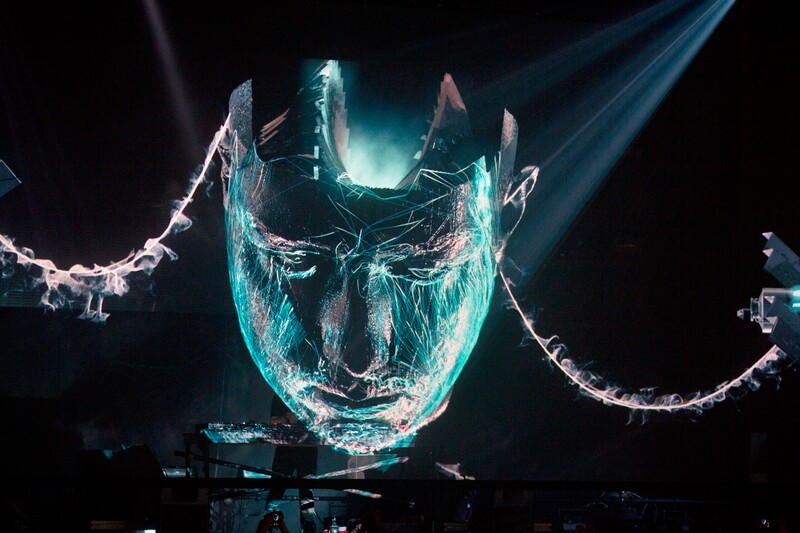 Then, as Prydz launched into his set, the upstage screen came alive, revealing a massive hologram — a celestial object flanked by two spinning cogs of a machine that picked up pace with the escalating music. It loomed over the fans standing closest to the stage before disintegrating like magic dust. The spectacle was controlled by a coterie of technicians—mostly from London—in a barricaded booth across the stage. Tomaszewski, the team’s hoodie-clad leader, sat almost motionless in front of his computer throughout the show. But his eyes darted between the stage and his screen. A column on the right displayed a list of tracks, each of which was linked to animation and a multitude of effects designed to suit the mood. 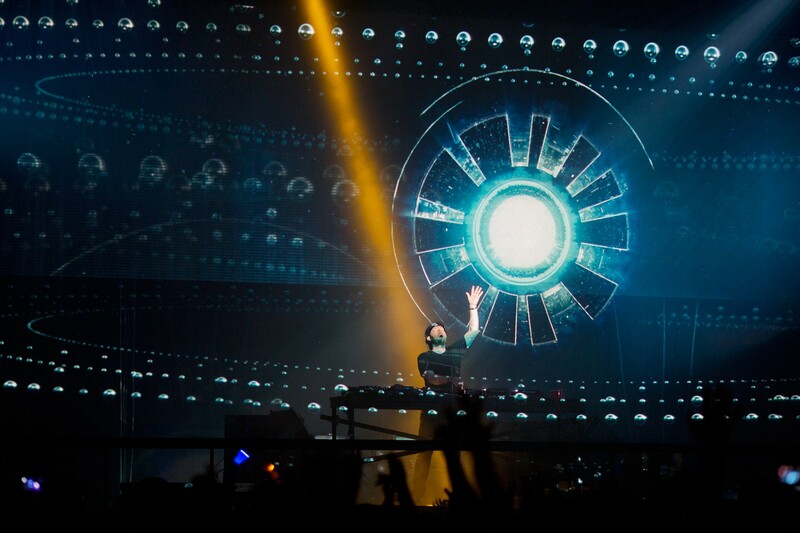 The center of his screen, split into small blocks in a grid, controlled the animations. As the show unfolded, Tomaszewski manipulated the speed, color, and intesity of the visuals by tinkering with the little blocks on his screen. “Being able to respond in real-time like that to the music and the crowd makes the whole experience feel so much more real for the audience,” he says. To his left, Jazz Bhullar, director of lighting, kept his eyes peeled on the clusters of lights suspended close to the ceiling of the arena. At his fingertips was an Avolites Sapphire Touch — a dual-screen control panel used to program and operate stage lighting. Its presence gave the booth a flight-deck atmosphere, and generating the show’s illusions from the array of buttons and sliders seemed no less painstaking than flying a plane. 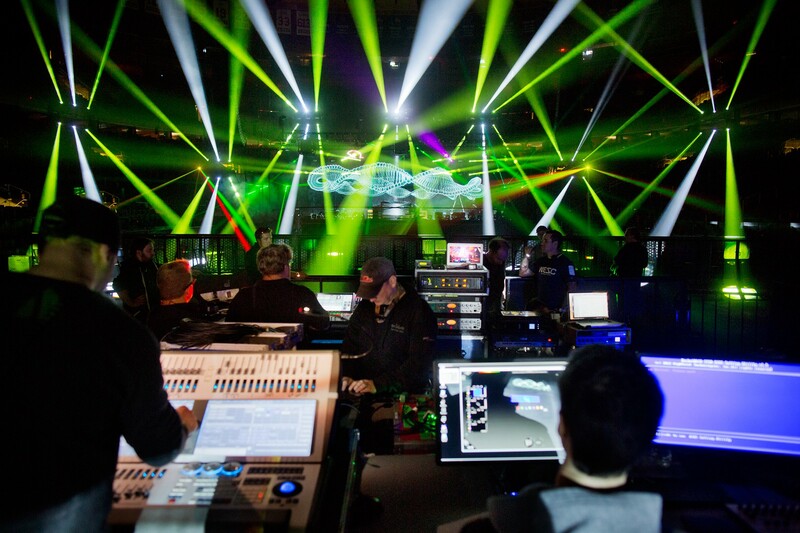 Over the past five years, dance music festivals and DJ-concerts have multiplied aggressively, and the multi-sensory experience crafted by a team of specialists seems to amplify correspondingly. In addition to the pounding beats and thumping bass, the crowd at dance music events is exposed to — and has come to expect — elaborate stage designs accentuated by bursts of coordinated flames and blinding lights. The Garden has long been a coveted pit stop for some of the biggest names in the popular music industry. But in the last four years, it became fair game for DJs who can draw in a throng of about 20,000 fans to fill the stands. 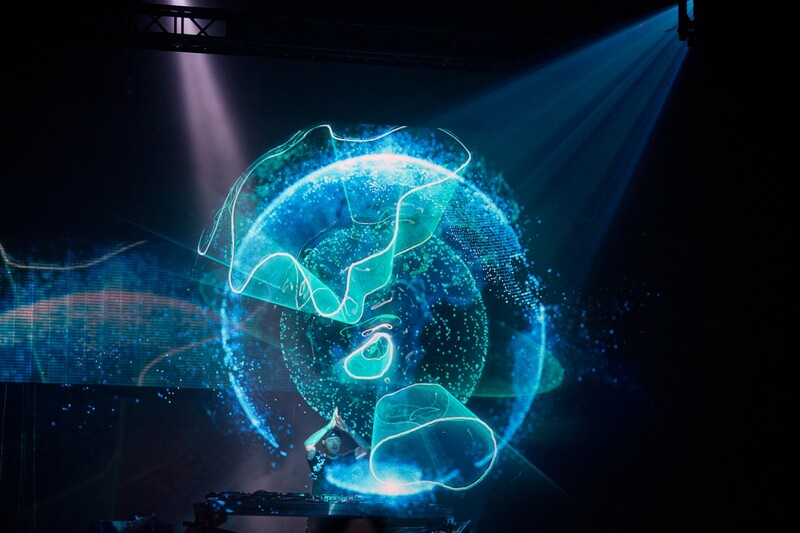 Prydz set sights on the venue this year and took on a massive financial risk in putting together what he likes to call his “passion project.” EPIC has solidified Prydz capabilities as a DJ, but at least as importantly, it has proven out the role of computer-generated simulations at a dance music event. The concept of a simulated image is not new. It has been around since the 19th century with the invention of Pepper’s ghost, an illusory effect created when an image is projected on a reflective surface (like a mirror) on the floor, which in turn bounces the projection onto a screen stretched at a 45-degree angle. With the source and reflection concealed, the final image appears to be real. The technique has been refined over the years with the use of lighting tactics that produce the illusion of depth, and transparent foil screens that make the reflection more life-like. The resurrection of Tupac at Coachella Valley Music and Arts Festival in 2012 for instance, put a new spin on the Pepper’s ghost effect with computer-generated imagery and visual effects on a foil screen called Musion Eyeliner. Previous versions of EPIC followed the foil format. Realistic as the projections may have been, there is a downside: “It shakes under vibrations,” Calvert pointed out. At dance music shows, vibrations are inevitable. At Madison Square Garden, they projected the holograms on Holo-Gauze, a see-through, metallic gauze that serves as a projection screen for both 3D and 2D images. Invented by Stuart Warren-Hill in the U.K., the new surface, which resembles a mesh stocking, eliminates the use of mirrors and other reflective surfaces traditionally embedded in the floor. Holo-Gauze displays images directly from 3D projection systems. The patent-pending technology could prove to be a scalable and sturdy replacement for Pepper’s ghost, which can be unwieldy in a live setting and often requires high budgets. The gauze was carried over from London in a suitcase. EPIC 3.0 was action-packed on purpose. Fifteen minutes into the show, a hologram emerged from the dark and mouthed the words: “If every day goes like this, how do we survive?” The crowd erupted. 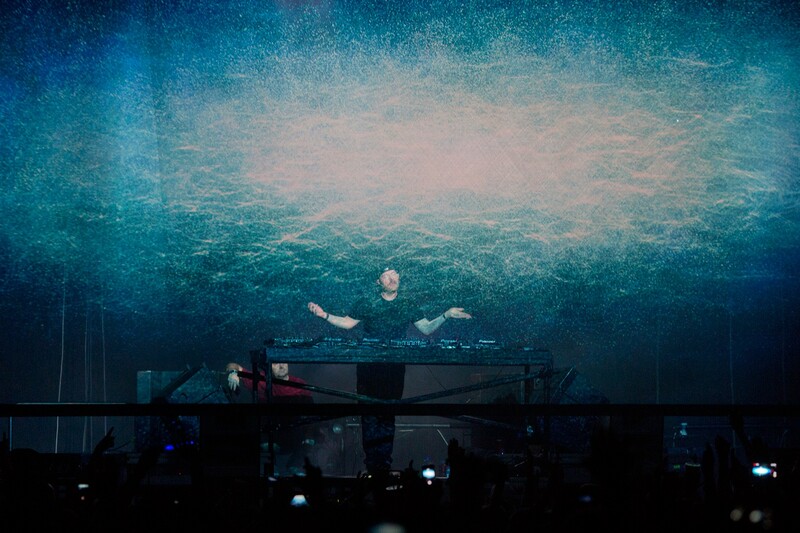 They recognized the rendition of “Every Day,” a popular Prydz track released in 2012. The singing hologram—a massive face illuminated in shades of blue—was reminiscent of a character from a sci-fi blockbuster. It took about a week for Tomaszewski to create the awe-inspiring face. He made multiple versions of it. “We have no idea at what point in the set, if at all, Eric will play the track, so for all bases to be covered we need to create holograms at different tempos,” he says. Using a metronome, he placed markers within the design software to match the beats against the hologram’s movement. Once a base tempo was established, he was able to lock down the first animation. He then repeated the process for a different tempo—each layer, keyframe and simulation was re-matched to a new rhythm. This sense of urgency pervaded the booth. 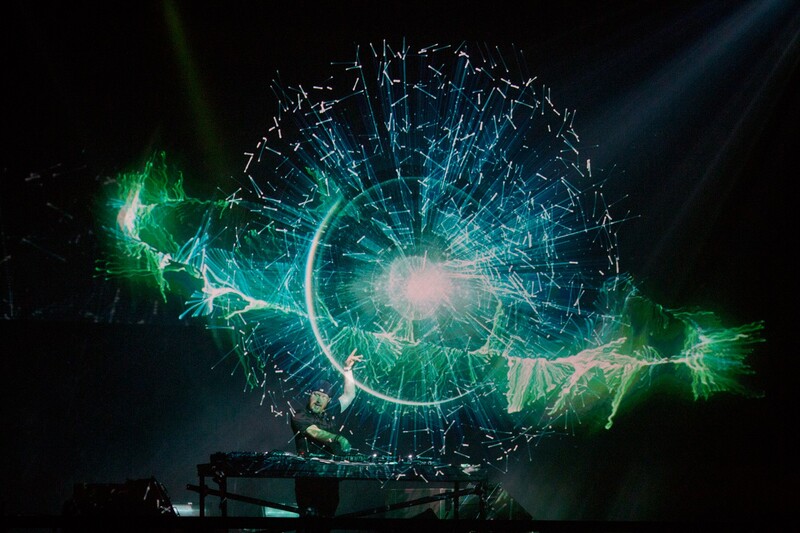 Unlike the preprogrammed sets that have reduced the art of DJing to button-pushing and fist-thumping gimmicks, at the Prydz show there was little physical movement on stage and no trace of a script. 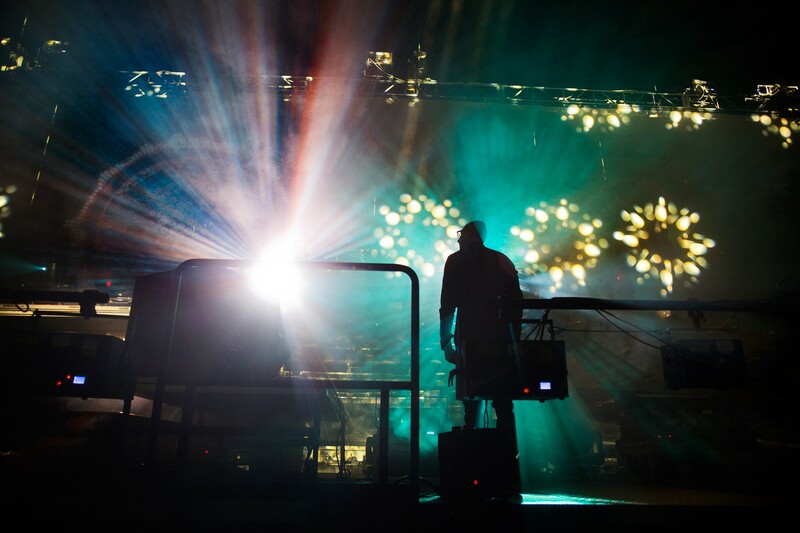 The team was privy to every beat and every nuance of the show, but still sometimes they were as surprised as the crowd with the grab bag of samples and mixes that Prydz had woven into the show. They supported his spontaneity with preparation and vigilance. “Doing EPIC 3.0 live meant insane amount of over compensation,” says Tomaszewski. “Only around half of the holograms we made were actually used on the night. If Eric had played a different set, the holograms would have been completely different.” Some track names on his screen were never selected, making their visual counterparts disposable for the night. If there is a metric for the effectiveness of a show, it might be boiled down to the number of phones that are raised to capture what’s happening. 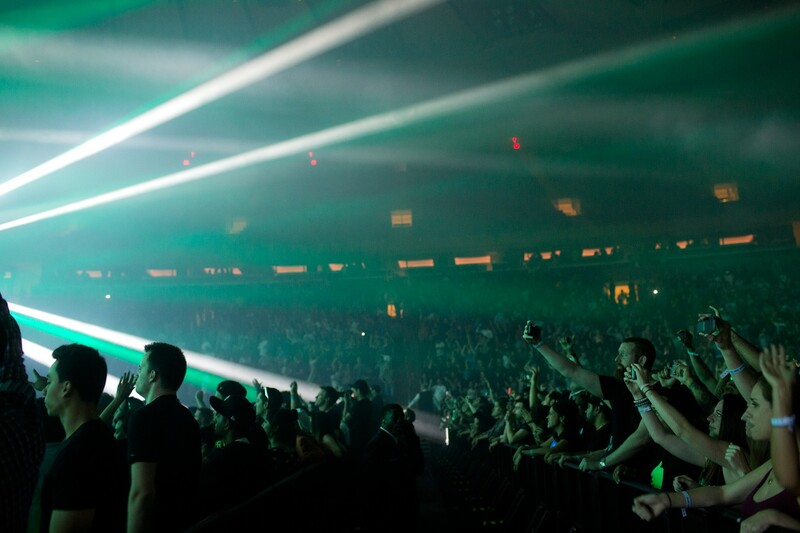 At EPIC 3.0, phones were constantly reached for and raised high. But smartphones proved inadequate. 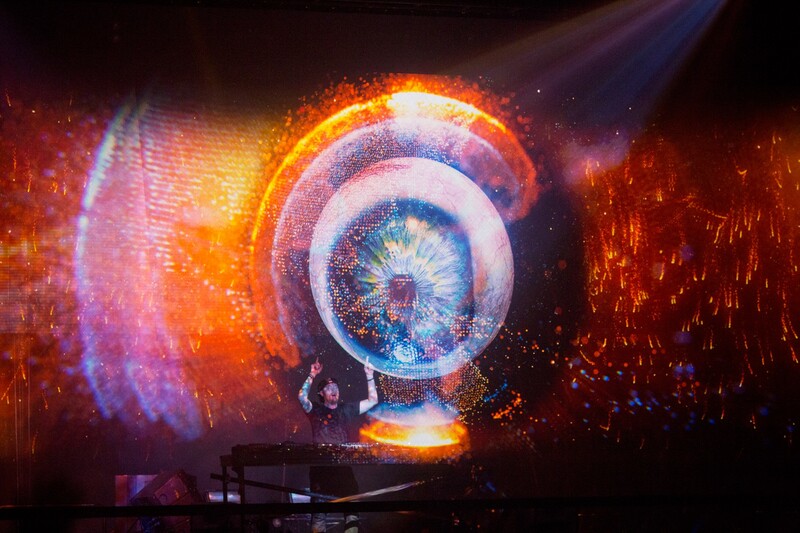 60-foot-wide holograms and laser-lit landscapes defy tiny screens and camera lenses; the impact is lost when recorded. 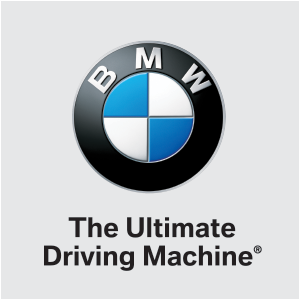 The magic of this experience was especially for those who were physically present in the arena. Through the three-hour journey, no two moments were alike, both in sound and sight. The crowd, for the most part, was split—those who intended to stomp the ground uninhibitedly and those who needed coercion to look away from their phones. 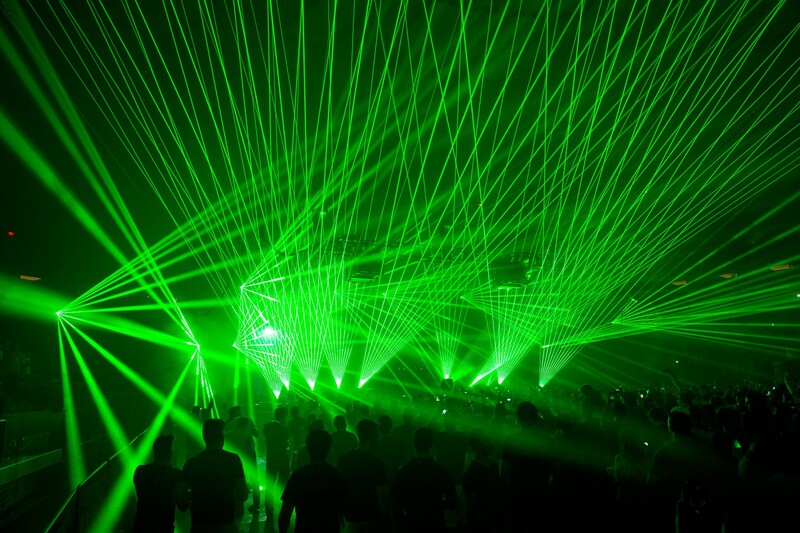 For the latter, deep into the show, a mechanical voice boomed over the beats: “Hit me with those laser beams.” Simultaneously, 32 laser beams cut across the arena in swift, sharp movements. The Garden sprang to life. The crowd bounced in celebration of the spectacle and in that moment, phones went out of sight.